Explanation: The Perseid Meteor Shower, usually the best meteor shower of the year, will peak over the next two nights. Over the course of an hour, a person watching a clear sky from a dark location might see as many as 100 meteors. 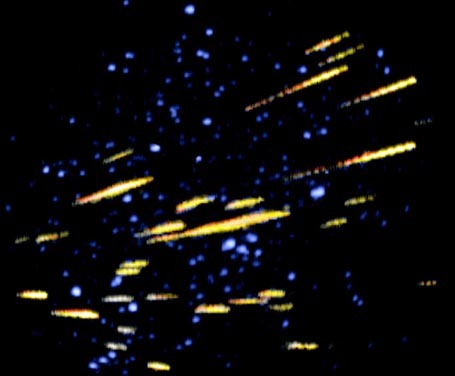 These meteors are actually specs of rock that have broken off Comet Swift-Tuttle and continue to orbit the Sun. This year, however, the Perseids may only be second best. 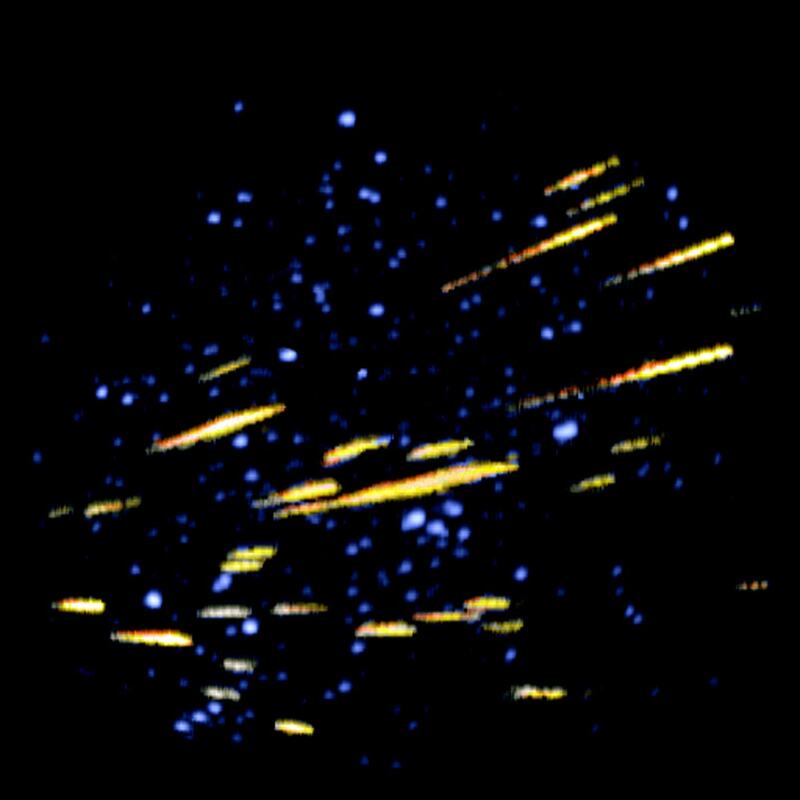 In November the Earth is predicted to move through a denser stream of Comet Tempel-Tuttle debris, possibly causing greater than 10,000 meteors per hour visible at some locations. Pictured above is the alpha-Monocerotid meteor outburst of 1995. This is the last week to send your name to a comet with NASA's planned Stardust mission.